Is That Hot, New Health Product Worth Investing Your Store’s Money in? Trends are the name of the game for much of retail merchandising. 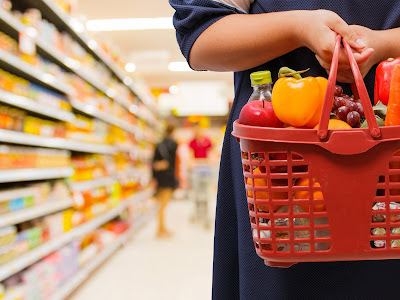 It’s certainly the case for grocery purchasing (just ask a CPG marketing agency). Trends that are picking up steam can draw mini-rushes of interest and purchases. But in some cases (seemingly overnight) all that stock that had just been flying off the shelves is now relegated to the discount rack. Then there are the products that prove to be steady trends, rather than fleeting fads. They’re the ones that peak, dip, and then plateau—but seldom disappear (like quinoa, smoothie-specific fixings, granola, goat cheese, etc.). This is one of the features that distinguishes a fad from a trend. So how can you know if a trending health product is a long-term draw worthy or early adoption, or a flash-in-the-pan fad destined to fizzle out? The general nutritional information provided by mainstream scientific authorities and organizations usually turns out to be accurate. Meanwhile, hype, endorsement by celebrities, flashy pseudoscientific assertions, a lot of hopeful speculation from the media about the effectiveness or popularity of a product or diet, and brief surges of interest from the public can confuse and briefly prop up doomed fads. Behind all the hype for virtually all of health fads that have come and gone, there’s often been steady, reliable messaging from food science and nutritional medicine experts pointing out that the fads are, at best, health-neutral to moderately healthy and helpful when combined with exercise. At worst, they are unhealthy and counterproductive. For something like kale, the legitimate experts point out that it is a bona fide healthy food that should be eaten in moderation with other healthy foods, rather than being relied on as a must-have addition to anything else consumed. Along with relying on legitimate sources, the hyperbole of a claim can be another good indicator of a fad. Modest, positive claims about the nutritional value of something and its value as an inclusion as part of a healthy lifestyle is good. Claims that a product alone will cure cancer, diabetes, depression, and “burn fat” are seldom proved out and worth being wary of. Trustworthy intelligence regarding the staying power of a fad or trend can be hard to come by. The past performance of seemingly comparable products can provide insight, but as quickly as the marketplace and customer tastes are changing, it’s hard to know what is or isn’t a comparable product. 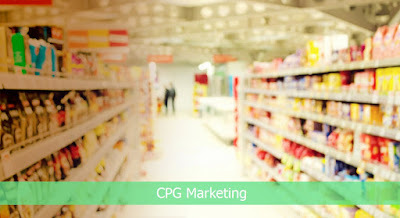 Fortunately, CPG brokers inhabit a strategic space in which they have a broader knowledge and inventory of past, current, and upcoming fads and trends. Their understanding of the buying habits of consumers and what sort of products they tend to buy long-term, and which are transient fads, is unvarnished. Because the thing is, when people speak with their wallets, they virtually always tell the truth. Plus, this valuable insight into long-term buying habits provides a rare objective glimpse past hype or sales and marketing agency spin. This knowledge shines a light on the true, long-term spending habits of consumers that transcends just one location, or even one chain. 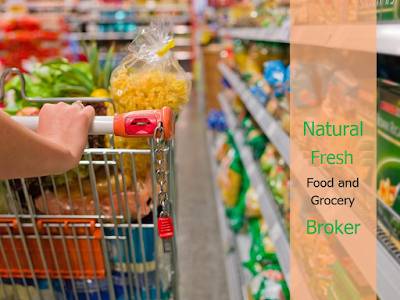 A trusted and reputable food broker will be familiar with consumer trends across an entire market. For a wise food retailer, their trusted food broker can and should be an invaluable source of information on food, health, and diet trends. That’s one of the many reasons it pays to invest in a high-quality food broker. Founded in 1994, Impact Group focuses on employing empirical, fact-based data on consumer buying and CPG marketing trends to guide their clients onto the most productive growth paths. This approach, which utilizes their proprietary technology, has resulted in Impact Group emerging as one of the most effective and respected players in the CPG space. They remain large enough to make an impact, but streamlined, efficient, and nimble enough to specialize, optimizing growth for any client’s niche. Can “Retailtainment” Be Harnessed for the Grocery Space? According to George Ritzer, in his book Enchanting a Disenchanted World: Revolutionizing the Means of Consumption, “retailtainment” is defined as: “the use of sound, ambiance, emotion and activity to get customers interested in the merchandise and in the mood to buy.” Less clinically, it’s making the act of shopping an experience-driven undertaking, rather than a necessary chore. So far, retailtainment has largely been deployed in retail outfits such as Target, Barnes & Noble, Armani, Lululemon, and mega-malls like the Mall of America in Minnesota and the Mall of the Emirates in Dubai, to name a few. While some of these stores may sell grocery items, they don’t exclusively. Is Cultured Meat the Next Big Thing in Grocery Retail? A new industry trade association recently formed this September after the Good Food Institute’s Good Food Conference on UC Berkeley’s campus. The members of this fledgling organization were all representatives of the “cultured meat” industry—meat that is grown from animal cells in a lab (and therefore doesn’t require an animal from which to harvest said meat). Their first order of business was to replace the term “clean meat”—which, it was argued, might imply that traditional, live animal-based meat was less clean by comparison. The association settled on the phrase “cell-based meat” to resolve the issue, though it’s certain there will be more hurdles on the road ahead for this association and eventual product. It may feel like kombucha (pronounced kom-BOO-cha) is the latest health craze to hit supermarket shelves, but it’s experienced a great deal more than 15 minutes of fame. In fact, kombucha has been popular in China as a health elixir for more than 2,000 years. Its prominence on store shelves continues to grow as CPG brokers meet the high demand for highly portable kombucha. So, what is kombucha and why does demand continue to grow?